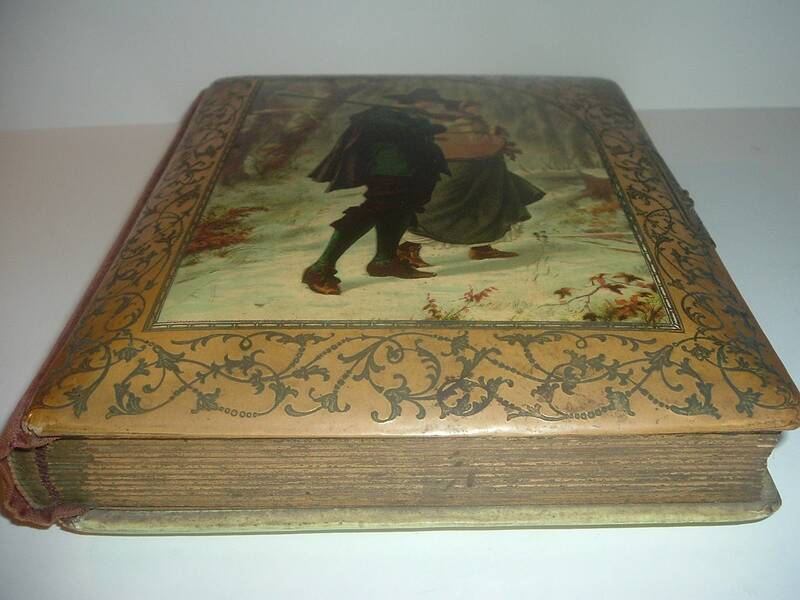 This antique photo album measures approx. 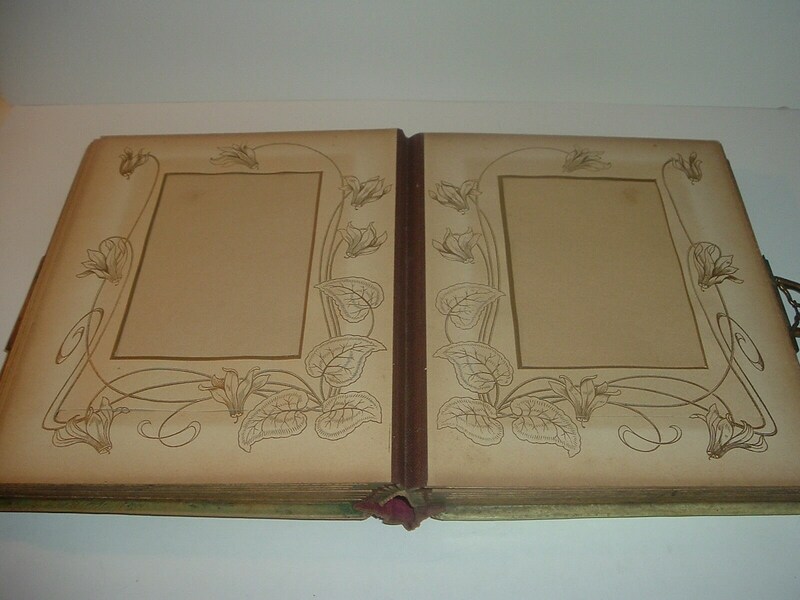 10.5"L and 8 3/8"W (measured each way -- lenth and width -- across the front cover). 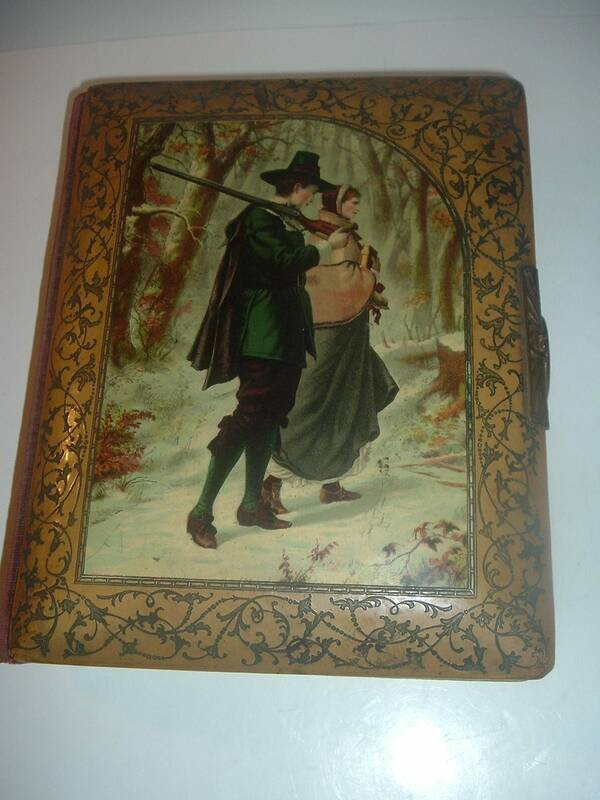 The front cover features a pilgrim couple. 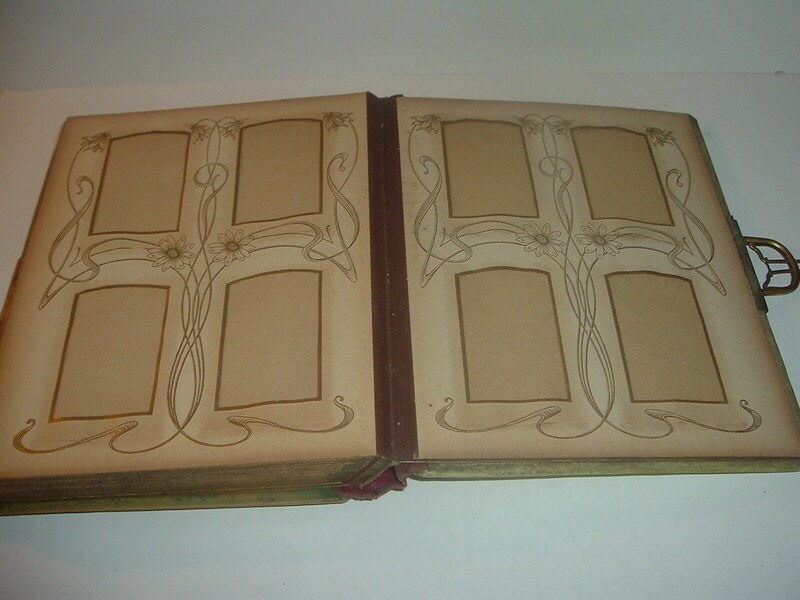 The binding is cloth covered, and the back cover is plain (photos 3 and 6). The pages are gold framed. 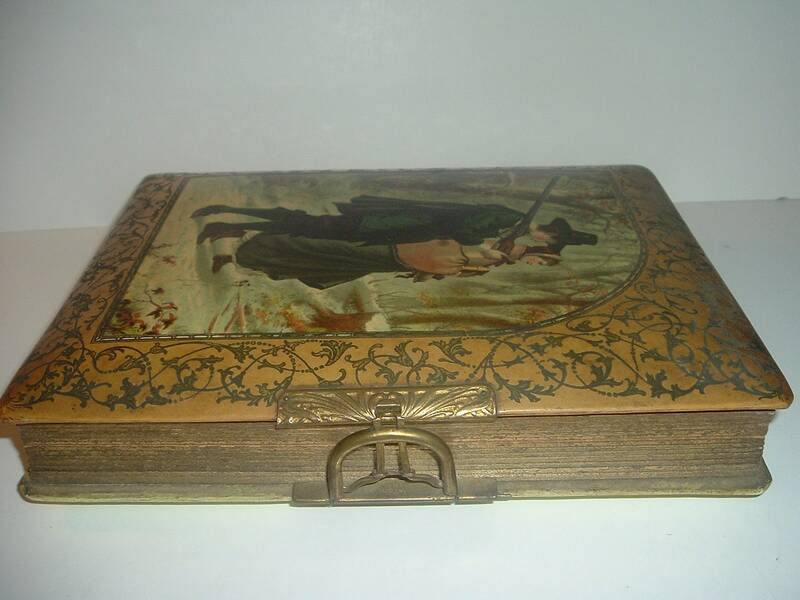 There is a metal clasp on the right side (photo 5). Most of the pages are for single photos (photo 9), but there are some back pages that can hold 4 smaller photos each (last photo). 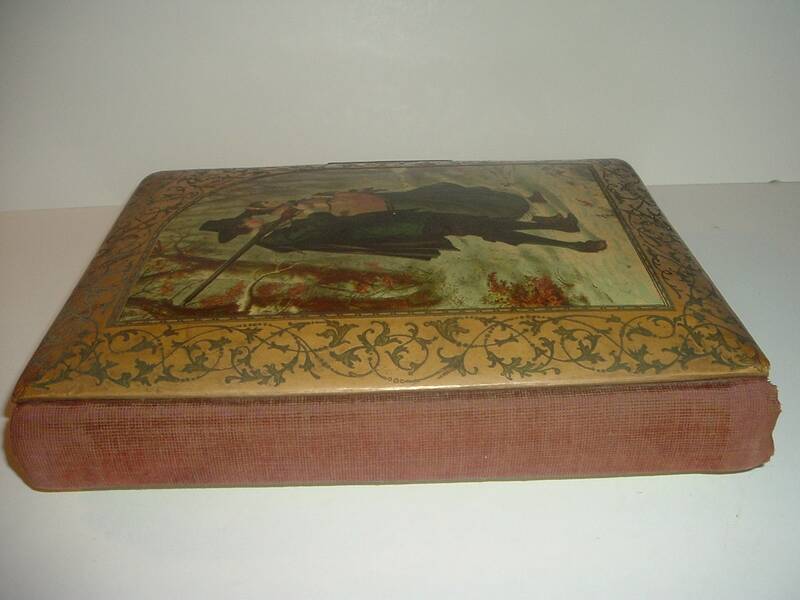 The front cover is still in nice shape -- I do see some light surface scratching. The back cover has some scratching and scuffing. 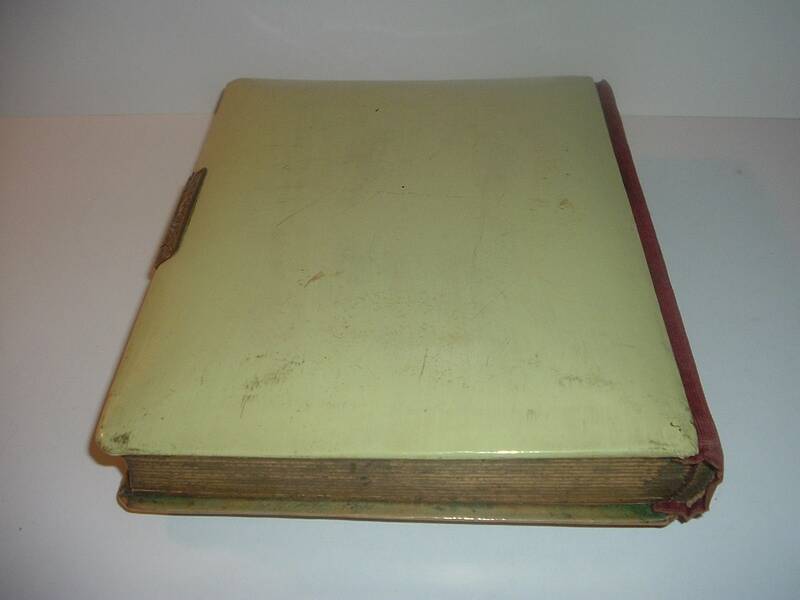 The cloth cover on the binding is aged. There is still enough spring action in the clasp to make it work. 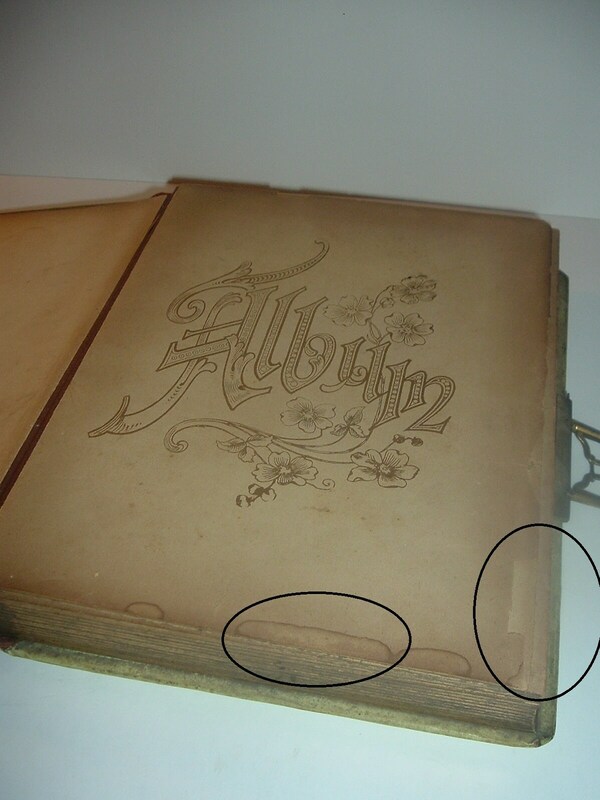 The first inside page -- the cover page with "Album" -- has a little edge tearing on the lower right, and a little moisture marking on the bottom (photos 7 and 8). 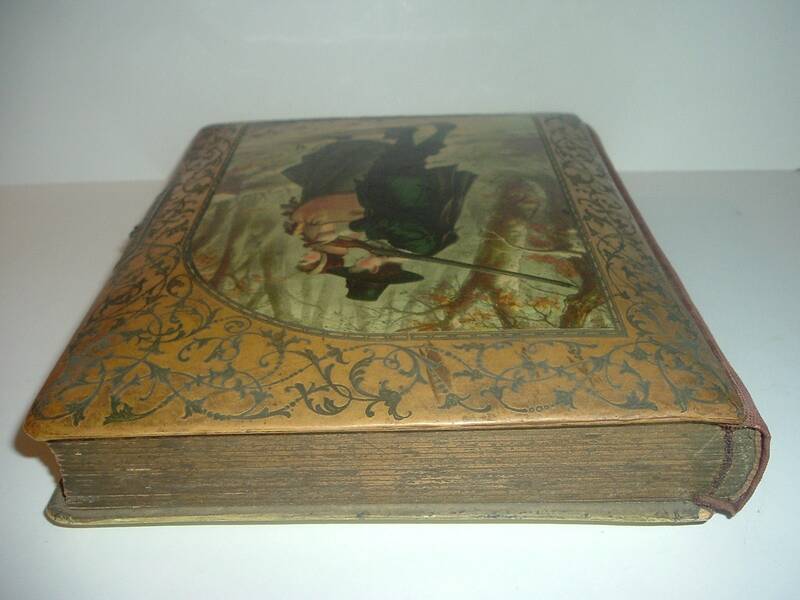 Otherwise, the pages are in good shape with age darkening, and some have age spotting. 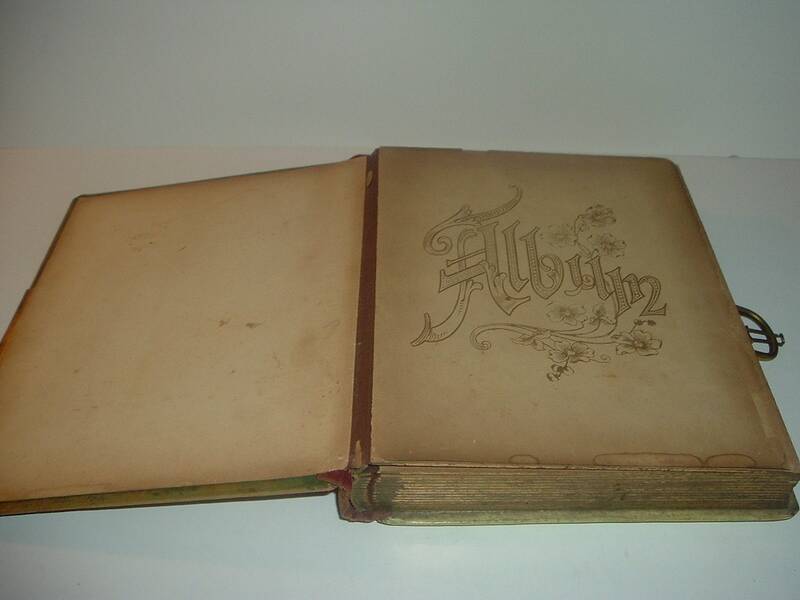 Many of the pages look unused -- I see one with a tear where you insert the photo -- the rest are in good shape. There are no photos -- the album is empty. Very nice shape for a 100+ year old piece! I gladly combine shipping.